About 5 billion YouTube videos are viewed daily, yet you don’t have an active YouTube channel. This is great! We’ve found another opportunity for you to connect with your patients, friends, followers and neighbors. While presenting to a fine group of specialists last year, I was talking about the potential of the platform and how to leverage it in a way that would establish the doctor as the expert, educate the community, and contribute to an overall online marketing plan. As I was expressing just how it works, a doctor stood up, faced the crowd, and pronounced that I was wrong. He told the audience that he has tried it and that it’d never work! In that moment, I wasn’t upset. I just smirked. I’ve realized in the last 6 years of public speaking that these things tend to resolve themselves. Another doctor politely raised his hand. I called on him. He stayed in his seat but announced that he has well over 200 videos on YouTube and it’s something that he has made a habit. He explained that it’s one of his top referral sources. I didn’t have to say a word. Keep the videos under 3 minutes when possible. Keep focused to ONE topic and have bulleted points that you’d like to cover. Start and end each video the same, with consistency in your intro and outro. Look directly into the camera and keep your eyes focused. Shifty eyes make the speaker appear less trustworthy and less confident. Shoot 10-15 videos in one sitting, then leverage (post) them weekly. Use a high quality web camera and make sure that it’s at eye level. Have a well lit room. Allow Identity Dental Marketing to optimize and leverage your video content for more exposure on your website and social media platforms. Besides posting organic content to YouTube, you can also shoot professional video content with the Identity Dental Marketing team and use this for advertisements on YouTube. You’ll be able to set parameters for your chosen audience to make sure your message is delivered to the right viewers. In these ads, the first 5 seconds are crucial to hook your viewer and convince them to watch the entirety of your message or ad. Think about this as a television ad, but instead of people watching TV, they’re now watching short videos, tutorials and education clips. 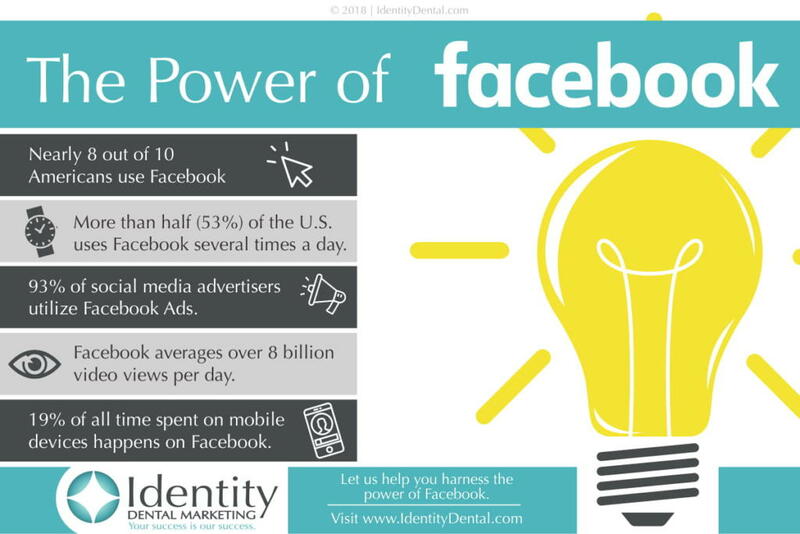 If you’d like more information about effective video marketing solutions, please contact Identity Dental Marketing. Make internal marketing fun! 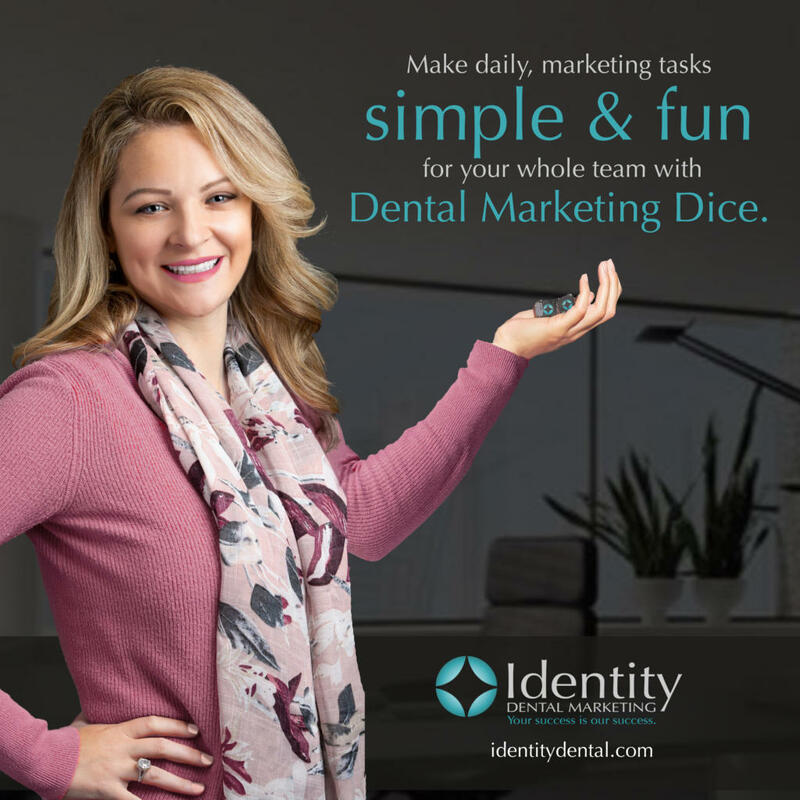 Click here to order your Dental Marketing Dice! Take turns rolling the dice each day at morning huddle, or give every team member a daily roll. One dice will give you a marketing task while the other will give you a method. For instance, one day you may roll PATIENT TESTIMONIAL with VIDEO. Another day you may roll TEAM MEMBER SPOTLIGHT with PHOTO. Delegating marketing tasks has never been more simple and fun. Click here to order your set for only $15! Contact our team for more advice on how to manage a quality social media account! Every year, gift-giving seems to get more and more difficult to do well. For dental professionals, it can be a challenge to find meaningful gifts for each one of your team members. 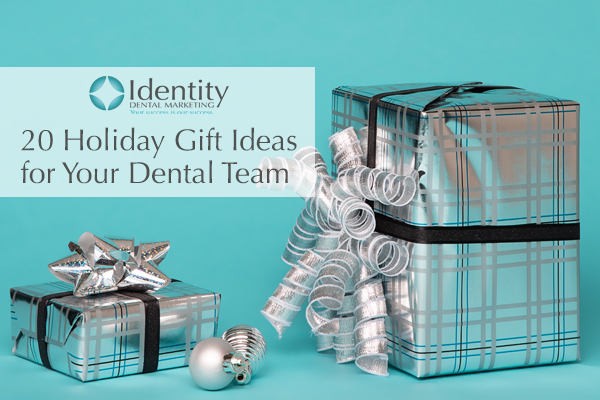 Understanding this, we’ve curated an exciting list of 20 gift ideas you can use to make your dental team’s holiday season even brighter. We hope you enjoy it. 1. Reusable water bottle — Stay hydrated in style! Aim for a 20-oz bottle for flexibility. 2. Party games — Whether it’s something classic like Trivia Pursuit or raunchy like Cards Against Humanity, party games are always a fantastic way to entertain friends or family when visiting. 3. Event tickets — What’s playing near you? Go as a team to a musical, ice-skating, or a ballgame. 4. Group mani-pedi — Everyone loves to get their nails done. 5. Bonus vacation day — Who doesn’t want a free day during the year to enjoy friends, family, or travel? 6. Team dinner — Invite your team and their plus-ones for a night out! Whether it’s a classic Italian eatery or something intriguing like a murder mystery dinner party, this will be an easy hit. 7. Matching ugly sweaters — A holiday part wouldn’t be the same without an ugly sweater contest. Store-bought or home-knitted, these sweaters are both warm and festive. 8. Hand cream or lip balm — Protect your team from frigid winter temperatures with a pack of holiday skin-care products. 9. New mug — Nothing says the holiday season like sipping your favorite hot beverage from a festive mug. Throw in some hot cocoa or tea to sweeten the surprise! 10. Gift card for a date night — Give your team the gift of a great dinner with family or friends. This is easier if you’ve made note of their prior preferences. 11. Planner — Empower your team’s day-to-day organization in their personal life with a high-quality planner. You never know how useful these are until you’ve used one. 12. A good book — If you’ve got a taste for literature, picking a book for each of your team can be an exciting way to connect with them. We’ve found that books are very meaningful and underrated gifts. 13. Warm scarf — Festive, fashionable, or both, scarves are a great way for your team to stay warm in style. 14. Photo frame — Whether you are at work or at home, being able to relive cherished moments of friends and family can be really special. 15. Throw blanket — Toss it on the couch, on a bean-bag, in the backseat, or on your chair. Throw blankets will never go out of style. 16. Candles — Your team will love having their house smell festive and cozy. 18. 2019 calendar — Cute pets, cars, history, famous paintings — these are easy to custom-pick for each of your team members. Have fun with this idea! 19. Seasonal bubble bath — Who doesn’t love bubble baths? 20. Portable charger — If you’ve ever had your phone at 2% in an important situation, you’ll understand the beauty of backup chargers. Happy Holidays from our team at Identity Dental Marketing. Are you worried your practice is getting stuck in 2018? Create an impact in your community and launch past your new patient goals with a marketing campaign custom-built for your unique needs. Schedule a complimentary marketing planning session with us today to take the first step. Each year, the dental profession evolves through new forms of technology, marketing, and an ever-important patient experience. 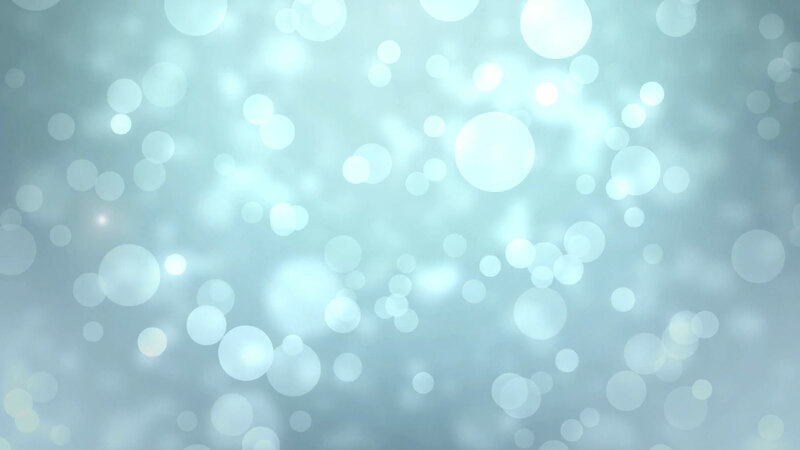 Whether your marketing campaign started six months or six years ago, you still have an opportunity to embrace the coming year’s trends and techniques and stay ahead of the curve. As we move into the New Year together, we’ve prepared ten impactful tips to bring your practice into 2019. Functional, Appealing Website Design — An outdated website can hold your practice back from its true potential. You should aim for simplicity over complexity, ensuring your site is compatible for both mobile and tablet viewing. Right now, trending design favors more color than before, single-column designs, and parallax effects. If your website is monotone, content-heavy, and static, then perhaps it’s time to evolve. Clean and Effective Logo — Extract that tooth from your logo. Your branding needs to push you ahead of your competition, not bury you within it. The best logos are ones that are recognizable, simple, and elegant. And when it comes to designing dental branding, we always suggest steering clear of the color red. Social Media Presence — Running any business in 2019 without social media marketing should be a crime. Market on all fronts, or risk losing your potential audience. With over a billion users, Facebook has rapidly become a powerful resource to reach thousands of prospective patients near you. To supplement your success, you should also build an active presence on Instagram, YouTube, Twitter, and Pinterest. Video Marketing — Video content is easily one of the biggest trends in digital marketing. It’s simple — wouldn’t you rather watch a video than read text or see an image? By bringing video ads, testimonials, office tours, or event coverage to your campaign, you will capture the attention of your ideal, new patients with ease. Search Engine Optimization (SEO) — Have you ever viewed the second page of a Google search? Most people don’t. SEO allows you to organically rank at the top of search engine results, ensuring constant exposure across several keyword searches that your audience is making. By implementing SEO strategies on your website and maintaining an active social media presence, you can find a powerful return on investment from new patients that come knocking. Pay-per-click Ads (PPC) — When your practice is new or lost in the crowd on particular searches, PPC can ensure the visibility you need. PPC allows you exposure in neighboring towns, or to patients seeking high quality care through searches like ‘dental implants near me.’ Affordable, powerful, and easily tracked, PPC can bring you an influx of business and increase your brand awareness. Patient Referrals and Reviews — Did you know that 84 percent of people trust online reviews as much as their friends’ opinions? Focus your attention on earning 5-star reviews by the dozens. These will increase your appeal to clients searching for dentists, and you can push ahead of competition in your area. In addition, a well-trained office team can ensure your patients are referring their friends and family. Utilizing a Funnel Campaign — Funnel campaigns can bring a staggering amount of new leads to your practice by drawing them in through repeated exposure and multiple chances for conversion. From screen ads, to landing pages, to that first appointment, funnel campaigns are incredibly important tools that you should be implementing. Remarketing — Facebook Pixel and other lead-tracking methods allow you to retarget your potential leads, creating a custom audience who you can market to directly based on their needs and interests. Remarketing can increase your conversion rate of new patients while bringing your brand awareness to the next level. Modern Email Marketing — Don’t spam your patients. In 2019, email communication should be reserved for important patient information, or time-sensitive offers and events. Try reminding patients to use their dental benefits before year-end, or invite them to quarterly campaign events your practice is hosting. 2019 is just around the corner. Is your practice ready? You still have a chance to get ahead. Bring your practice into the New Year through a powerful marketing campaign that is custom-built for your specific needs and goals. 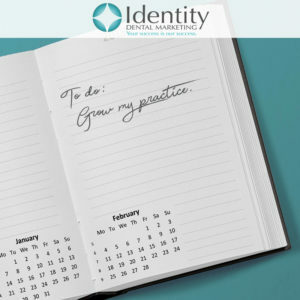 Schedule a complimentary marketing planning session with our team at Identity Dental Marketing to see how we can help. There’s a trick to dealing with negativity in your life, whether it stems from unfounded criticism or unethical competition. It’s called letting it bounce off, and it will be one of the most important strategies you can learn as a business owner. By letting these negative moments bounce off, you can keep your motivation strong, stay rooted with your team, and maintain your push to success. As your business begins to carve out a successful niche, you will make ripples. Others will learn about what you do differently. They’ll see your message, your brand, your success. While some will be impressed, others may become eager to compete. While your only true competition as a business owner is yourself, these people may see themselves as your rivals. They may begin to do unethical things to drag you down. We’ve all been victim to this to some degree. An employee you let go could pose as a patient and post bad reviews. Another business could move in down the street from you, using a similar business name or brand to capitalize on your success. These stories are unfortunately common. The solution is simple. Let it bounce off. Stay focused on yourself, your brand, and your mission. This isn’t a one-size-fits-all suggestion, however. If somebody is doing something clearly illegal or damaging, don’t hesitate to take action. Seek professional advice on how to handle the matter, but don’t let it consume you. Keeping your optimism and drive is crucial during moments like these. Remember, in business, nothing is personal. Everyone is doing what they can to get ahead. 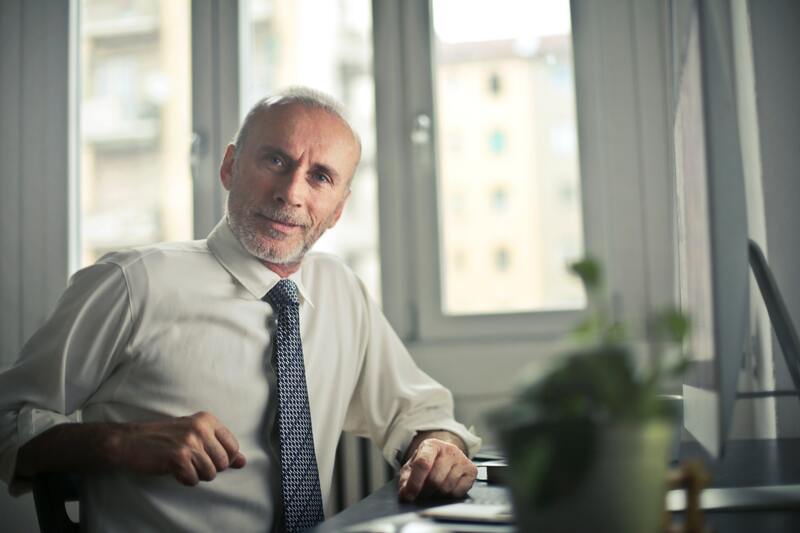 By harnessing this strategy of letting problems bounce off, you can become not only a stronger business leader, but a better parent, friend, or spouse as well. If you are looking for advice on how to set yourself ahead and achieve your true potential as a business owner, contact our team at Identity Dental Marketing. We look forward to hearing from you. No matter the type of business you own, you’ll be faced with difficult people. As a dental team, you’re bound to stumble upon some of these types. Read the following to learn how to handle them with care, while protecting your reputation. This patient believes his Google search is more valuable than your dental degree and 10 years chair side experience. He will question your options, fees and even drop jargon. You know he has no idea what he’s talking about. He refuses to believe he needs a crown and thinks you are a money-hungry liar. When faced with this type of unreasonable human, it’s best to be armed. Come to the conversation with photos of his mouth. Be prepared to calmly answer his questions. Say this, “Mr. Jones, I know this can be confusing. I know it can be difficult to trust our recommendation, especially when you cannot see the decay the way we can see it on the radiographs. We have conversations like this all day and it never gets easier, especially when we only want what’s best for you. I have a legal and ethical commitment to share with you the treatment that is in your best interest. I assure you I’d recommend the same treatment plan to my own mother.” Smile warmly and wait for his or her next reply. Usually, after you’ve effectively disarmed with charm, the patient will become less defensive and more open. It may take a little diligence, but continue to break down the communication barriers with confidence and concern. Staying calm and showing empathy will get you far. Have real before and after photos featuring your happy patients to show. The unreasonably untrusting person will become open and appreciative in many instances when they see how many others you’ve helped to smile. This is why marketing with real patients can make a real difference. For some dentists, this repulsive characteristic cannot be tolerated. However, if you can learn to convert this type, you can (sometimes) help dozens of deserving cheapos. The unreasonably cheap are easy to spot. They’re the patients you’ll see asking to skip X-Rays, claiming they never received the bill (again), and threatening a negative Google review when their insurance refused to cover their treatment. In some cultures and in many households, negotiating is a way of life. Calling for a quote or bid is normal and not considered anything out the norm. If these types don’t receive some sort of “deal” they feel they haven’t done their job. First, make sure to spot them early. There’s a good chance that on their first call they asked several questions and most were related to insurance acceptance, fees and billing processes. Make a note in the system that the patient seemed very focused on expenses. Next, make sure you have a “why us” packet. This helps these chronic negotiators understand that not all dentistry is the same. Next, do not assume this patient is without money. Some of the wealthiest people live to negotiate. Ask this patient what he or she values. Discover what really matters. If you can get this patient wanting the care he or she needs, price becomes a concern, but fades from the forefront. Discuss how your pricing is set and why it is where it is. Have a “stop the shopper” process in your practice. Support this with a printed document meant to build value. If a patient has an outstanding payment due, refuse to schedule future treatment. You can only handle so much. Know your breaking point and allow your team to gently remind you when it may be time to let go of a hassling haggler. This patient will respect the doctor to his face, but lie to the team. His goal is to divide and conquer your office. He will tell you that Suzy at the front desk told him he didn’t need X-Rays or tell Suzy that the doctor said his crown was only $600. He thinks he can lie and manipulate to cause drama and his end goal is to put himself on a pedestal by making those around him seem incompetent and inferior when they fall victim to his games. You’ll be able to spot him wearing a grinch-like, devious smile. He’ll seem pleasant at first to gain entry into your life. He’s the most difficult to spot, yet the most destructive. The longer he stays a patient, the more devastation he can cause, both to your reputation and your team’s harmony. He may not even realize he is causing damage, as it’s likely something that has become a habit, much like breathing. Causing drama is his subconscious hobby and he leaves the room seemingly unscathed, while you patch together the truth. Most who exhibit this kind of behavior feel an elevated sense of importance when they cause enough stress and drama to make others unnecessarily apologize and “make it right”. They live to critique others and often have a know-it-all personality. They’re experts in F-ing everything. There’s a good chance that even while reading this, your blood pressure is slightly elevated as you reminisce on your past experiences with one of these types. It’s important to note these occurrences in his or her chart. To be sure you’re not overreacting to an honest miscommunication, give him 3 strikes. Once you’ve acknowledged this destructive human in your business look for your next option to let him or her go. Next time he or she calls anyone on the team with a complaint (over a bill, false statement, ANYTHING), say the following, “Mr. Jones, based on our past conversations, I no longer feel our team is the right fit for you. It appears as though in many instances, you’ve been dissatisfied with our team and I feel this may be because we aren’t the right fit.” Get ready because rejection is ultimately what this destruction human fears. He may go to great lengths to talk badly about you. He will react strongly to being let go and will want answers. There’s a chance he will go quietly, but then privately seek revenge in the form of false reviews, unpaid bills and slander. It’s still a small price to pay for your team’s sanity. Let him go. This person hides behind his fear of dentistry to justify total and complete neglect of his oral health. Yes, perhaps he has a true phobia to overcome, but starting an interaction with a doctor like this: “I hate you,” simply has no justification. This person thinks their fear of the dentist justifies missed appointments, audible screams during a visit and behavior that resembles a toddler. He can often be spotted with piercings and tattoos – go figure! First, recognize a truly phobic patient. Meet him or her with total compassion. In fact, don’t really call these patients jerks (or any patients for that matter). The title is meant to help us face our obstacles with a sense of humor, but is not intended for us to lose our compassion. Remember, you went into this wonderful profession to help people. You can’t truly do that if you believe they’re all a bunch of jerks (even when they act otherwise.) When the patient expresses his or her fear, say this, “Kelsey, I know it’s been a while since your last dental appointment. I want you to know that we’re here to help you. Today is the start of your healthy smile journey. We’re going to make sure you’re comfortable at all times. If you ever experience discomfort, just raise your left hand. Also, know that we treat fearful patients very often and enjoy helping you to gain trust in our team. We’re happy you chose us to help you restore your health. What questions do you have for me today?” Make sure to invest a bit of time chatting. Allow the patient to share his or her horror story. Ask the patient if he prefers to hear each step as it’s happening or if he would prefer to relax and watch television or listen to music. Have headphones and distractions available, as it helps many patients relax. This patient doesn’t seem to realize that you value loyalty. He or she may show up to their next appointment with dentistry completed that was not done by your team, with no explanation. Acknowledge the patient’s choice to receive care elsewhere. Let him or her know that you cannot be held responsible for the quality of that work, but that you hope it works out well for her. Let the hopper know that it’s always best to establish a primary care dentist, just like a primary care physician that can track records and oral health trends. Changes in the mouth can show early signs of diseases. Ask the reason the patient didn’t receive the care from you. At that point in time, if the reason is financial alone, say this, “Mrs. Jones, I’m sorry to hear that. I’m confident we can work out a plan that is fair and will allow you to receive the care you deserve from our team. You’ve been coming here for so many years, we would hate to lose you as our patient.” It’s not intended as a guilt trip, but an honest and open way to communicate to Mrs. Jones that you value her. We all deal with perfectionism to some degree, but some people simply will not recognize excellent work. These folks set their own unrealistic expectations and no matter how many hoops you jump through, the work won’t be good enough. Who knows what kind of childhood trauma they are filling? You simply have to learn how to recognize these jerks and create a plan for handling them. Let the patient know that these results are beautiful. Show him or her why slightly natural teeth are considered more modern and more beautiful than the “Chiclet” style she is describing. Let her know this is the plan you discussed. Sometimes, you simply have to explain that you did your best and you’re very happy with the outcome. Next, get very good at filtering out perfectionists and setting your real expectations — several times over — to prevent these types of exchanges in the future. Dental Marketing | What Platform is Best for a Cheap Website? I’m often asked questions like, “what platform is best for my practice if I can’t afford a professional website?” When it comes to marketing your practice, the honest truth is that you can’t afford NOT to have a professional website. Take a look at this from a top-down view. If you own a brick-and-mortar business, you’ve already invested tens, even hundreds of thousands into it. After this massive undertaking, it is disingenuous to your own growth to skimp on a marketing budget. By using free or cheap options for a website, you set an uphill battle for yourself. In many ways, your website is your first impression – the most important sales tool. As soon as you prioritize your budget toward building a professional website, you can bring your business off the ground. Oftentimes, clients come to us with low budgets, and every single time, we build them a customized plan that makes a significant impact with an impressive ROI. Remember, your marketing is out there – and it’s talking about you and your business. Your website is the first thing that clients, patients, or customers see. A cheap route reflects to your audience that you are the cheap option. After all, you get what you pay for. You don’t need to overspend on your website, but you should aim to invest in a strong, distinguishable presence. To learn how we can help, book your complimentary marketing planning session with us today. We hope to hear from you! Starting a business isn’t easy – don’t let anybody tell you otherwise. There are delays, obstacles, and difficult choices in your path, and the only person who can overcome these is you. With the right advice and motivation, however, you can push through anything that stands in your way. Ahead are some common entrepreneurial battles that you can expect, and some advice on how to come out swinging. There will always be hiccups – business certifications or bureaucratic trouble chiefly among them. The business name you chose was already taken? Make a choice on new branding and commit to it. Are you having trouble hiring a brand new team? It can be difficult to find the right person for the role, but don’t fret. Self-growth takes time. Nobody begins their journey as a confident and compassionate leader, but you can learn how to become one. Sometimes your business growth can stop in its tracks. Unexpected competitors can take their toll, siphoning potential and presence away from you. Your business can hit a growth plateau, or even worse – a slump. Industry changes can prompt a need for new technology or a change in the landscape of your business. Don’t settle for less than your full potential. Focus your energy on researching new methods and strategies instead of mitigating your losses. Innovation will allow you to jump these growth hurdles with ease. You’ve made a breakthrough! There is so much you want to do now. However, you find that you’re spreading yourself too thin. In times like these, you need a plan — or even better, long-term project management. Consider hiring a business coach who has experience in cases like yours. Their knowledge can help you plan your projects in a way that maximizes your growth. Competition is always a natural consequence of success. For some, that can be personal. Family members can become critical of you, shaming your devotion or long hours spent. 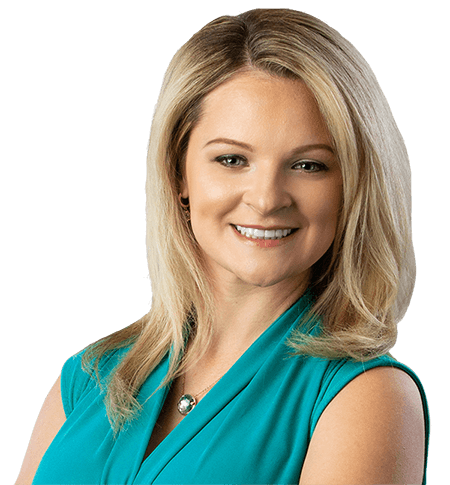 Jealous competitors in your field can spread rumors, fake audits, or other disparaging news to detract from your success. Focus on your customers, branding, and yourself – not your competition. Remember, a great service sells itself. Your business is like growing a garden. Water it. Plan toward your growth and how to achieve it through innovation and effort. If you focus too long on the weeds like your setbacks, they will consume you. For more information on growing your business, contact our team at (847) 629-4646 for a complimentary planning session. How Many Hours a Week Should You Spend on Marketing? How Many Hours a Week Should You Spend on Your Marketing? Running your own dental practice requires a lot more time and effort than just working with patients. As a dentist, you know this better than anyone. However, you may not know how much of your valuable time you should be spending on marketing. Your answer varies based on the type of business you run. Do you have an established practice, or are you just getting started? Are you in a larger market, or a smaller one? What are your yearly goals? The answers to these questions will help you know how much time you should be investing each week. If you operate a new practice with a low marketing budget, you should expect to invest a full day or two each week on your marketing. Take this time to network in the community and spread your brand’s name around your city as much as possible. 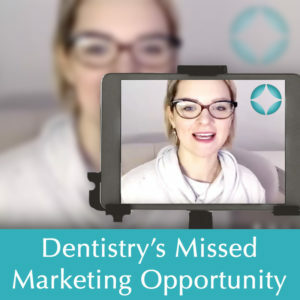 If you run an established dental practice, then you may already have a few marketing opportunities currently in the works. If so, it is imperative that you expand on them to ensure your growth. This time-intensive research and implementation could also take up to a full day or two each week. A professional marketing company affords you much more of your valuable time. By working with Identity Dental Marketing to ensure your practice is reaching its audience, you may only need to invest an hour each month to review reports of your positive ROI. This will grant you a lot more freedom to focus on your patients and your work-life balance. To learn how you can achieve significant practice growth, contact our team at Identity Dental Marketing today. We can help to bring new patients to your practice while leaving you with more of your precious time.